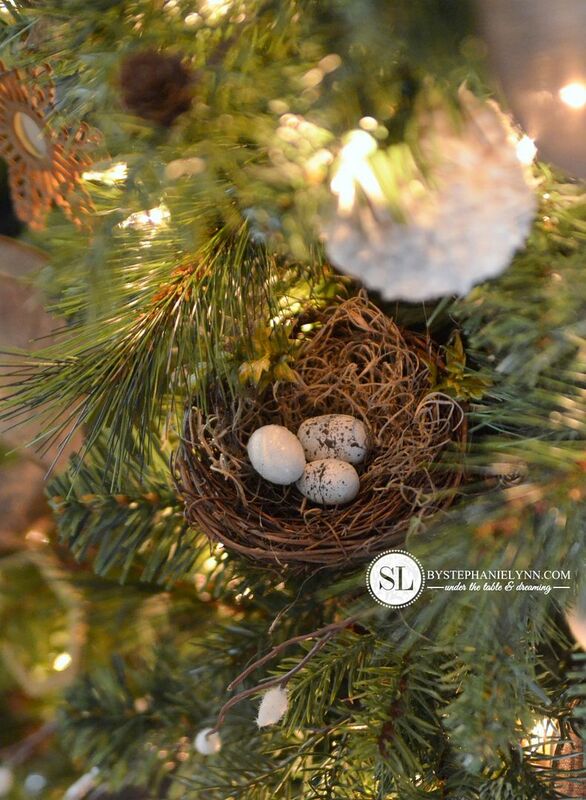 2014 Michaels Dream Tree Challenge | Make it Merry Christmas Tree #michaelsmakers #tagatree | There is so much to love about this time of year. 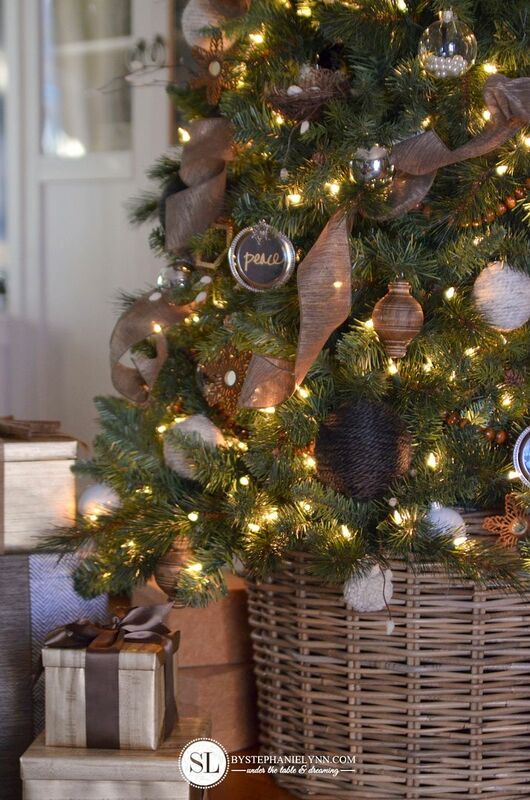 I am not one to rush the holidays – but once a tree goes up in our home, the season truly becomes magical. A couple of weeks ago I mentioned a special delivery I received from Michaels on Instagram. 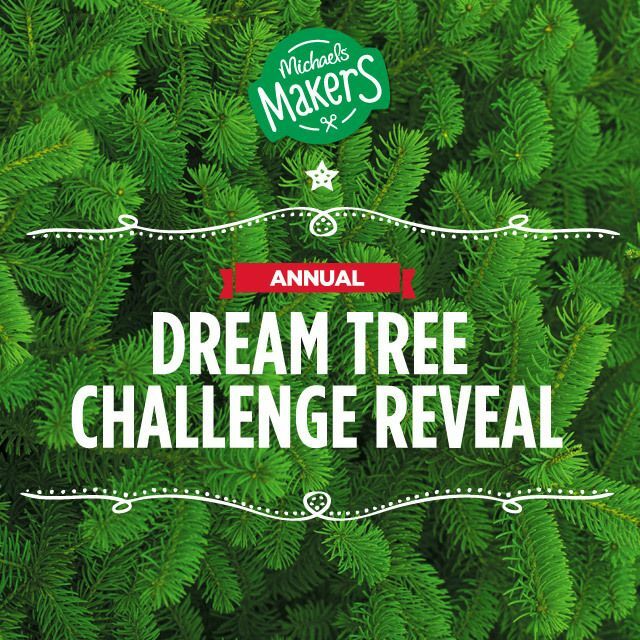 As a member of the Michaels Makers Blogging Team, November marks the month of the Dream Tree Challenge. I am so thrilled to have the opportunity to participate in this annual event – not to mention getting a jump start on our holiday decorating. 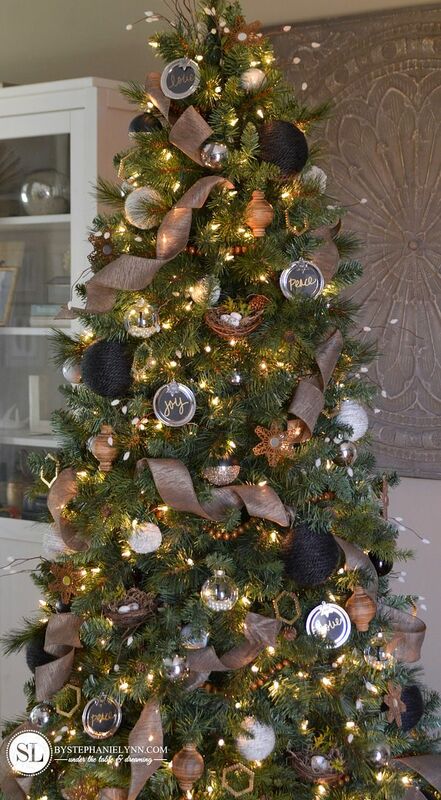 All of the decorations, including the tree itself, are from Michaels. This year we received a Pre-Lit Willow Pine Tree for our challenge. Instead of deciding on a dedicated theme, I took the same approach as last year for the decor. I simply strolled the entire store and picked up items and elements that caught my eye. 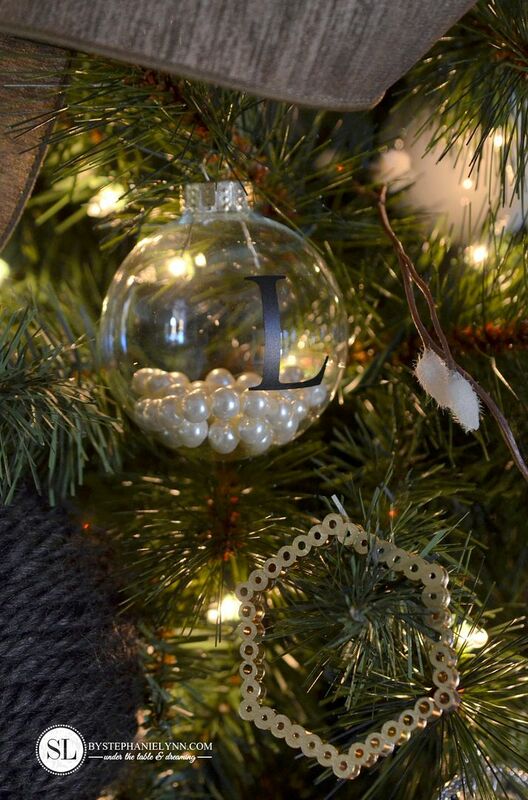 There is a mix of cozy knits, natural wood, bird nests, pearls, monograms and of course a shimmer of silver and gold. 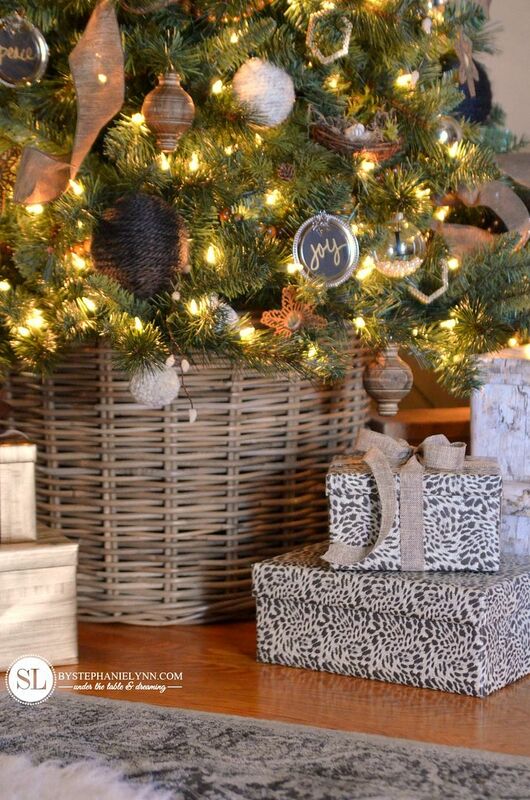 The tree was nestled into a woven basket – just like last year. 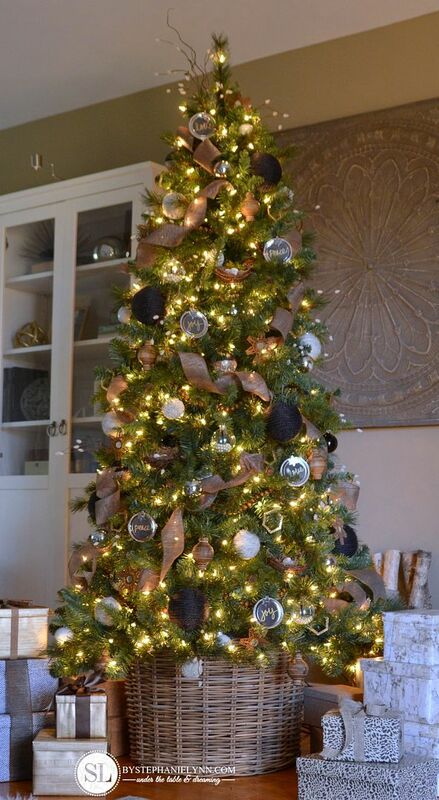 This gives the tree a little added height and leaves plenty of room below for the gifts. 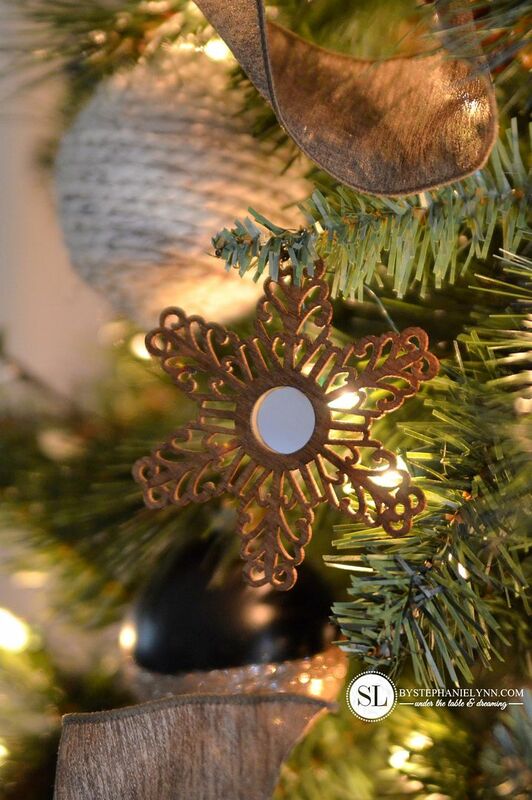 Other than the silver and white bulbs, all of the ornaments are quick and easy ‘semi-handmade’ projects my little guy and I crafted. 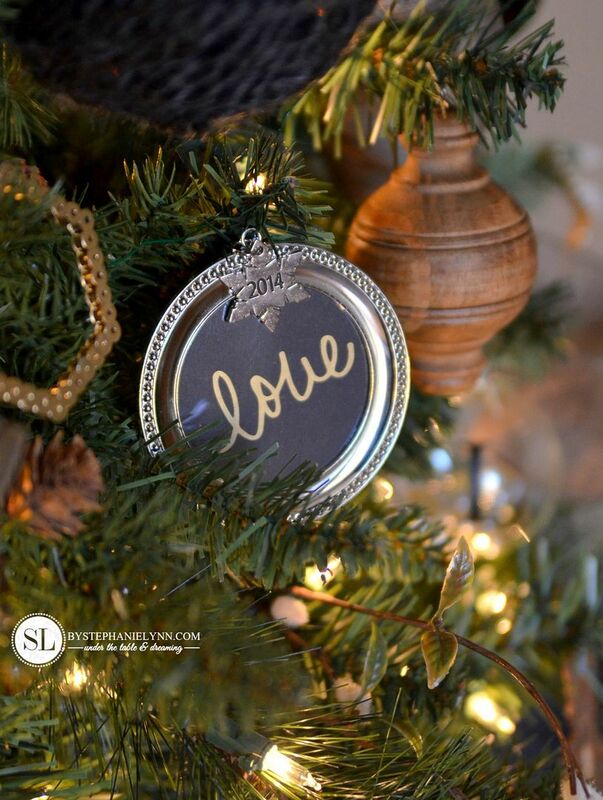 All of the semi-handmade ornaments cost under $2 each to make, with the exception of the silver frames – which are on sale this week for $3. 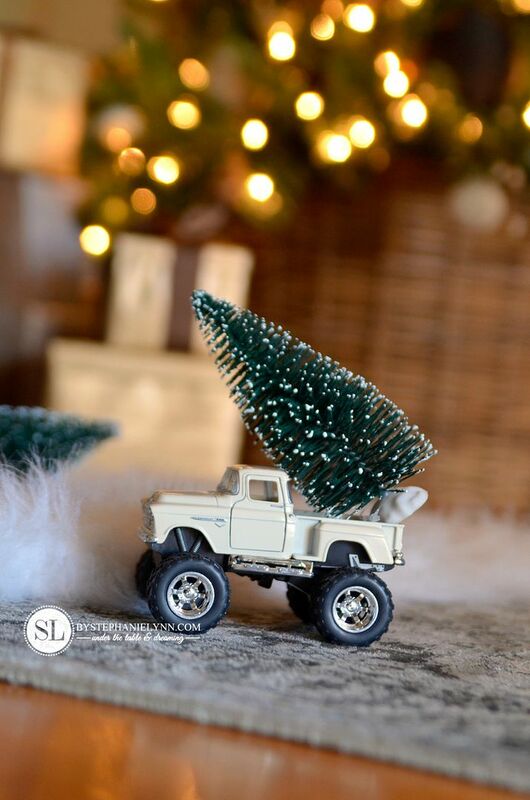 We are so excited for the upcoming holiday season. My little guy even has his trucks ready! 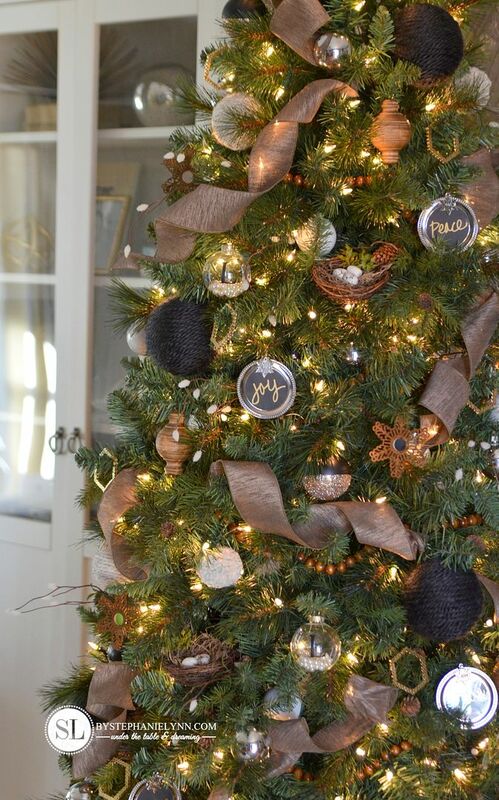 can be found here: 2013 Michaels Dream Tree Challenge. 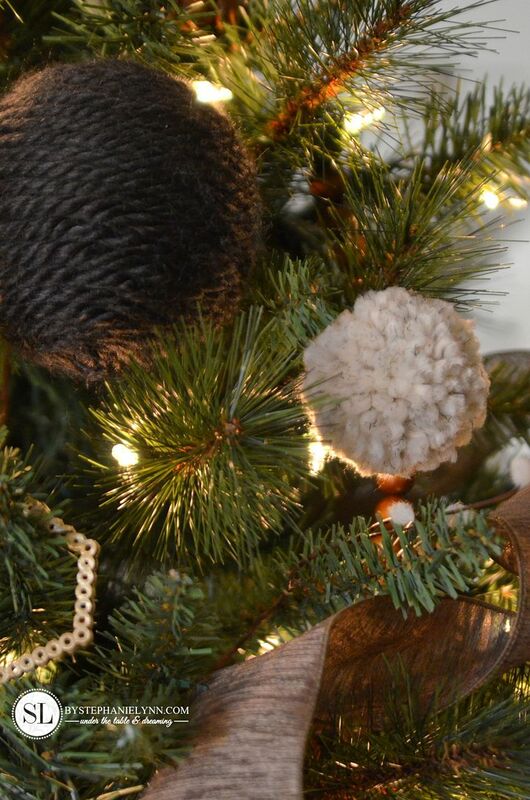 Stop by Michaels’ blog, The Glue String, to see the full Dream Tree Challenge and all of the fabulous trees that were created this year by the Michaels Makers. – enjoy. This post is brought to you by Michaels . The opinions read here are entirely my own. 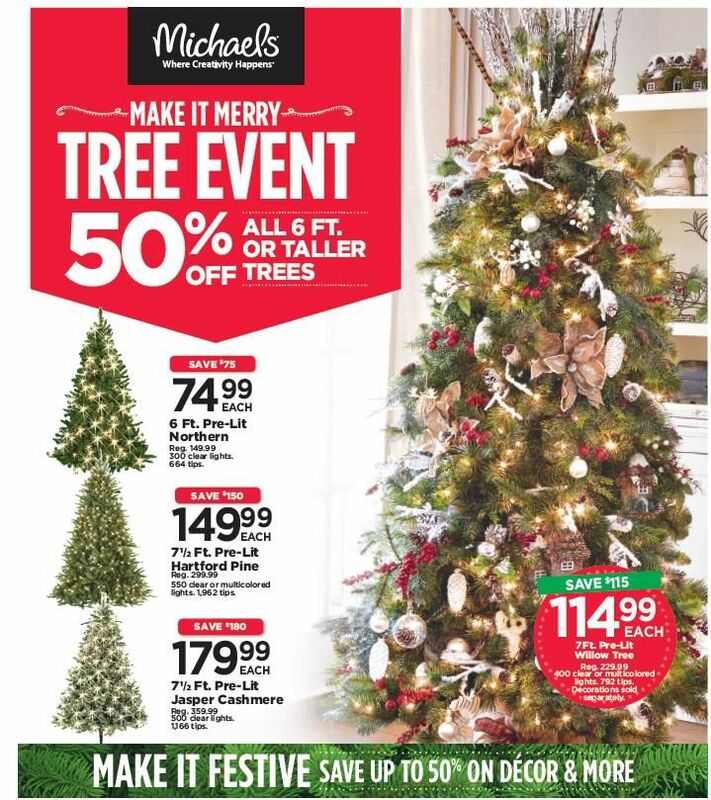 Kick off the holiday season with Michaels . 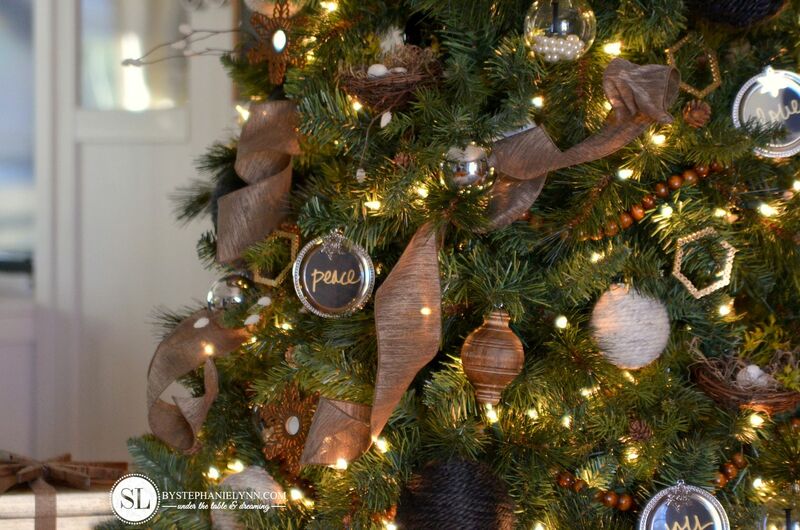 The Make it Merry Inspiration Book has all kinds of holiday tips and projects to make the season bright. Did you know you can now shop online with Michaels with Free Shipping on orders over $50 or free in store delivery? 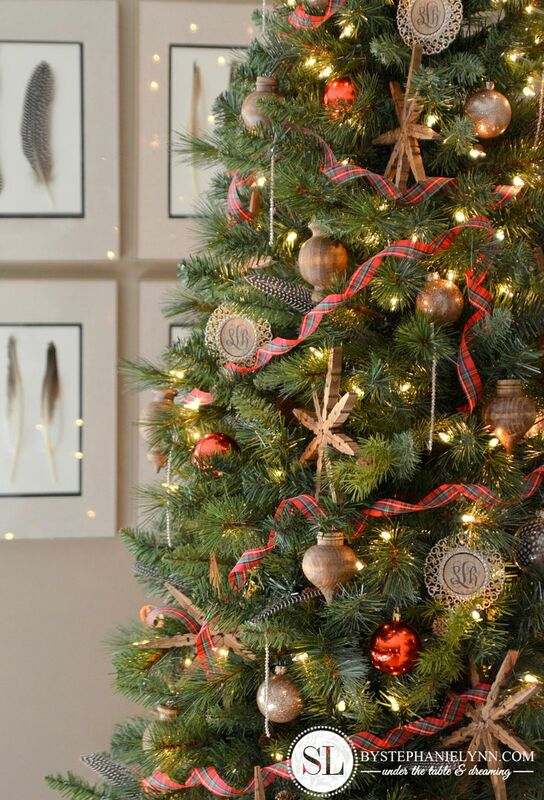 And save even more during the Make It Merry Tree Event – offering 50% off all trees 6 ft. or taller. 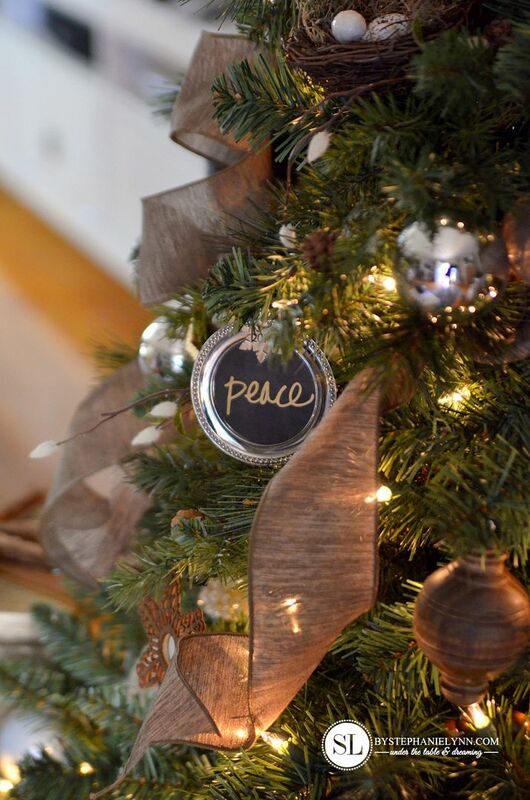 Happy Holiday crafting! 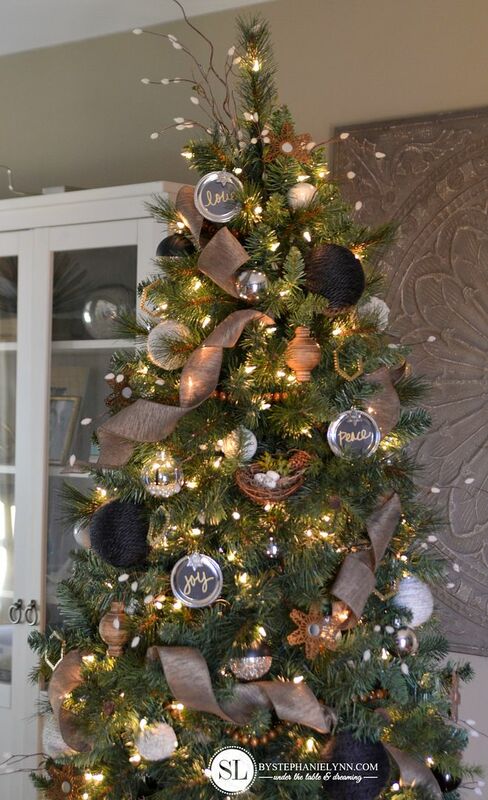 I look forward to seeing how you’ll do the Michaels tree and I wasn’t disappointed. Perfectly done! 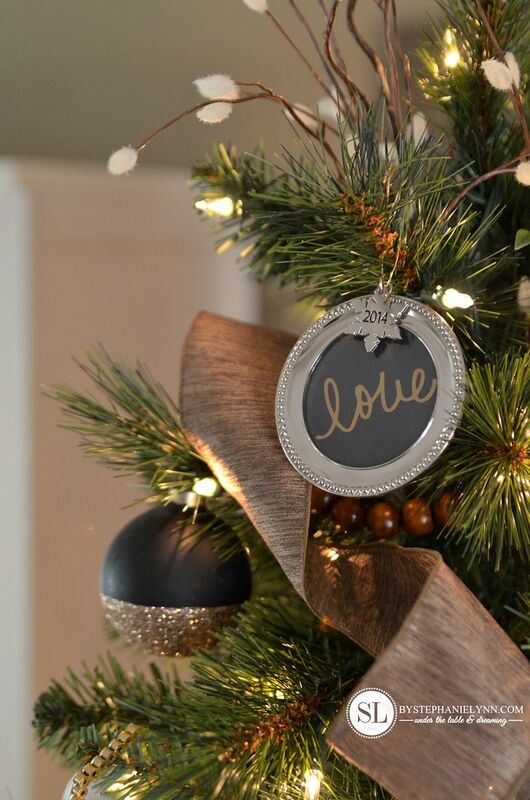 Love…love…love your tree. Question, your ribbon, is it continuous, or did you cut it in different lengths. I think getting the ribbon to look nice is a huge struggle for me, but yours looks perfect. 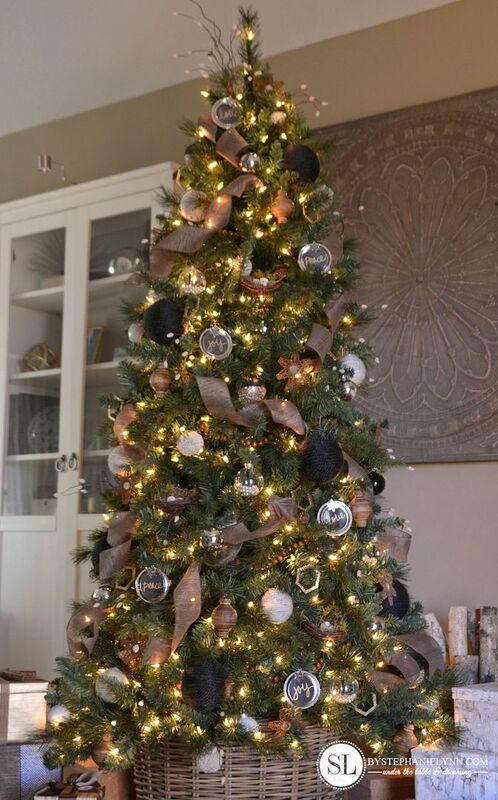 Thanks again for sharing your beautiful tree. Thank you so much Kim. The ribbon was cut into multiple pieces, twisted, then placed throughout the tree. 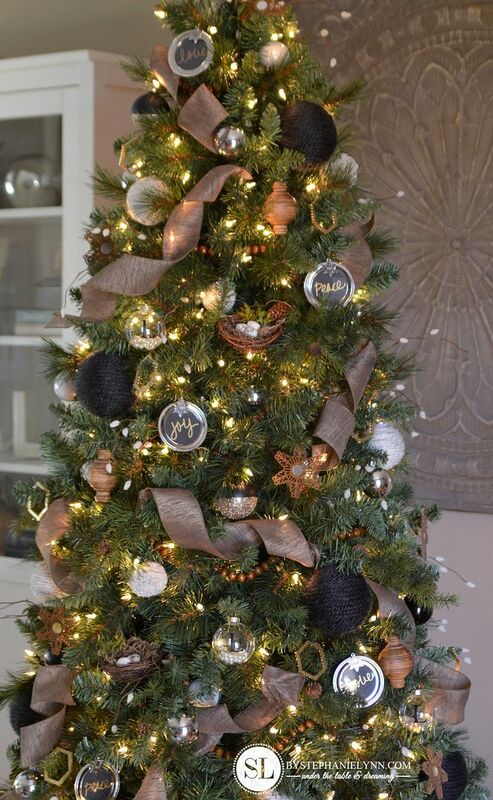 I usually put the ribbon on first, which sort-of sections off the tree and keeps the ornaments evenly spaced. The ribbon is wired so it will hold the curls. Hope that helps! So beautiful! How did you do the ribbon? Is it all one piece? It looks to me like it is multiple smaller piece, if so how did you get them to stay twisted like that? Thanks so much Heather. The ribbon is cut into multiple pieces, twisted, then placed throughout the tree. It is wired so it holds the curls.